Warm B&B near Louviers, nice garden where children will have fun. Large family suite on the 1st floor with 1 bedroom (1 dble bed) and 1 large room with glass walls looking onto the garden, with a sitting area and a double bed. 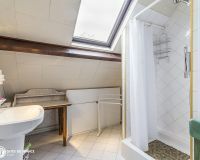 Private shower room and toilet. Ideally situated between the Eure and the Iton valleys, you will be welcome by Bernadette and Jean-Claude in this quite new house with a large garden planted with trees. Living room with fireplace, where your breakfast will be served, large covered terrace, table tennis table. Aménagée à l'étage, composée d'une ch. avec 1 lit 1 pers. donnant sur 1 seconde ch. 1 lit 2 pers. 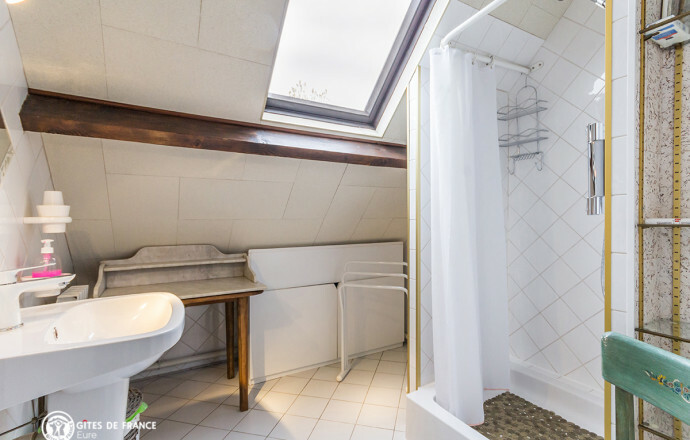 Salle d'eau et wc indépendants. Arranged on the floor, composed of a bedroom with 1 single bed overlooking 1 second bedroom 1 double bed. 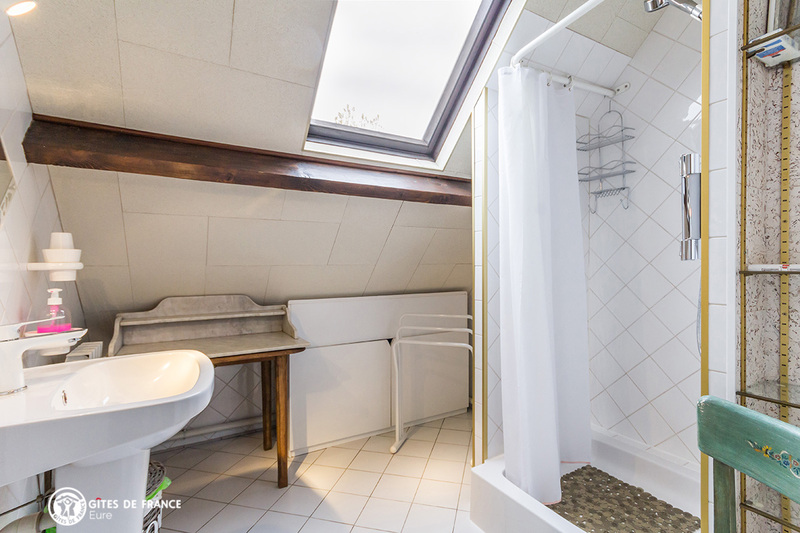 Shower room and separate wc.